Although I am definitely more of an autumn and winter person in terms of the weather, I'm all for the cold and snow, but there is just something about spring that I love. It brings in my favourite flowers, tulips, as well as mini eggs and lighter fragrances. 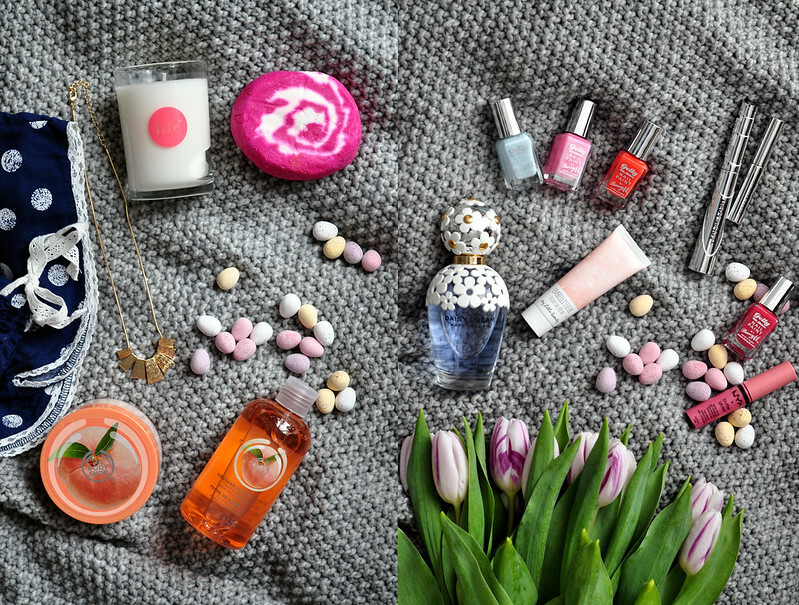 I also love spring cleaning as it gives me a chance to look through all my beauty products and discover any that I've forgotten about. When I bought a couple of things from The Body Shops vineyard peach collection a few months ago I put them to the back of my beauty cupboard as it isn't a winter scent. Now though is the perfect time to use them and they smell good enough to eat. The body scrub isn't the most abrasive but it works good enough and it's nice to use it alongside the shower gel. These are currently in the sale so if you've been thinking of buying them, now's the time! The shower gel isn't available anymore but the body scrub and body butter are. Another spring essential for me is the Lush Comforter Bubble Bar. I can get six baths out of this so it works out cheaper than others. The incredibly sweet blackberry scent is amazing and one I always go back to. A quick trip into Boots and over to the Barry M stand I saw some Gelly Nail Polish shades I hadn't seen before. An offer of two for £7 was all I needed to add all four to my basket. Dragon Fruit is a lovely pastel pink that's slightly brighter than normal and has silver shimmer running through it. I haven't seen shimmer in any of the Gelly polishes before so it makes a nice change. You definitely need a base coat under Pomegranate, the berry shade, and Satsuma, the bright orange, as they have a tendency to stain. They have an almost perfect formula though and are opaque in one thick coat or two thinner ones. I added Huckleberry to my basket even though I wasn't certain if I had it in my collection already. That's definitely a sign you have too many nail polishes if you can't remember if you have it or not. Luckily I didn't and I've been wearing this pastel blue a lot this past month. Now let's move onto scents, both perfume and candles. I used to wear Marc Jacobs Daisy in the spring months but this time around I've switched to Daisy Dream. Daisy will always be a favourite but this version smells completely different.The notes are blackberry, grapefruit, pear, jasmine, lychee, blue wisteria, white woods, musk and coconut water. It reminds me of YSL Parisienne. Although it does seem slightly odd to have a candle burning in the spring and summer months, I still want my room to smell nice so I've gone for a much lighter scent compared to my usual spicy sandalwood scents. Life NK Tomato & Rhubarb Candle has such a unique scent. The two scents go so well together although I never would have put them together. I imagine it smells similar to Jo Malone's Green Tomato Leaf Candle but at a fraction of the price, especially as it's on sale at the moment. Make-up wise there isn't too much I'm changing apart from a few new additions. The mascara I was using had dried out so I'm currently using L'Oreal Falsh Lash Telescopic. I loved the now discontinued Telescopic so I thought I'd love this one just as much. Despite using it for the past few weeks I'm still not 100% sold on it. There are days when I love how my lashes look when I use it but others when it just doesn't seem to work as well. On the good days it makes my lashes look longer, more defined and holds a curl well. My eyebrows have gone a bit wild recently and the only thing that seems to tame them is the Anastasia Clear Brow Gel. It keeps them in place without feeling crispy and the small brush makes it easy to apply. Dragonfruit is an amazing shade! I went through an entire bottle last summer and I just had to pick up another. I've been wearing it a lot recently as it lasts ages on the nails and it's a dream to apply. The baby blue shade is beyond stunning! I love muted blues and greys on the fingers, there is just something so beautiful about the contrast. I can't get on with the gelly formula! Always goes a bit odd on me! Love the shades, though. 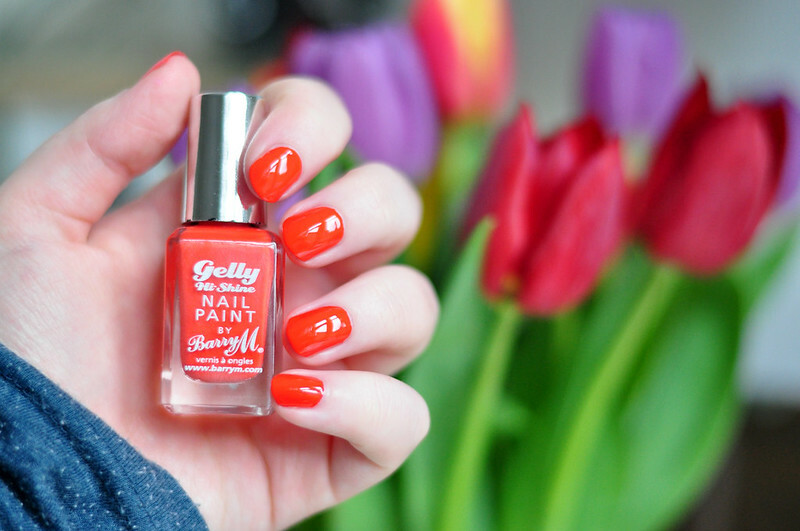 I love the Gelly 'Dragonfruit' colour, so pretty, and perfect for spring! 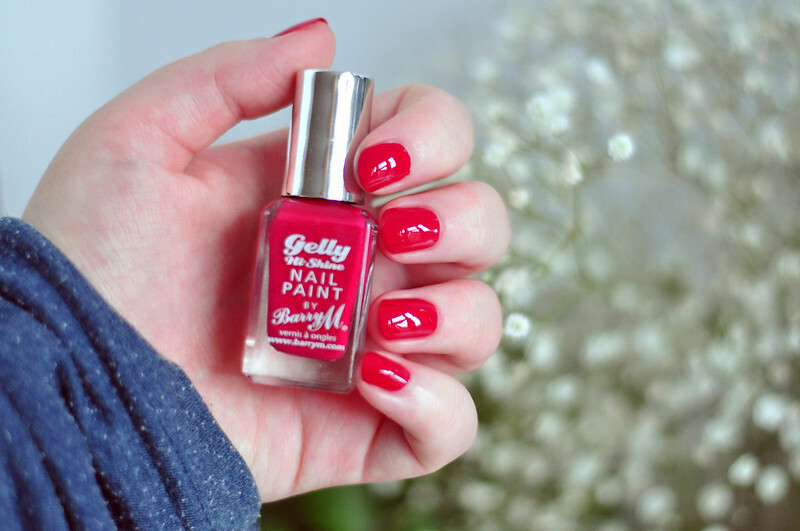 I have never tried the Gelly nail polishes, but they look amazing!